Blue Mountain is not only a brewery in central Virginia, but a hop farm. In the photo, wires —which will hold hops in spring, summer, and early autumn— stand bare in winter (12 December 2010). Now, at the end of March, weeks frost-free weather in the mid-Atlantic region herald the onset of hop growing season. Blue Mountain is one of five Virginia breweries (and one cidery) that comprise the Brew Ridge Trail in Nelson and Albemarle Counties. Another of those breweries, Devils Backbone, will host the 1st Virginia Craft Beer Fest, on 18 August, in Roseland, Virginia. It's a date; well, actually, it's two. Fire Works —pizzeria, restaurant, and good-beer bar, in the Court House district of Arlington, Virginia— has invited Heavy Seas Brewing —of Baltimore, Maryland— to dinner on the 3rd and 4th of April. Chef Frank Mayo will do the cooking. Beer manager Mike Berry will do the hosting. The first beer —a 'welcome' beer, not on the menu above— is Heavy Seas' Classic Lager. The brewery has modeled the beer on recipes for premium all-malt American lagers of years prior to 1950, when there yet was maltiness and hoppiness in those beers. Liquid history, if you will. The first beer with dinner —Holy Sheet Uber Abbey Ale— Heavy Seas has retired from its fleet. This keg —one of the last available— has aged (well) over 15 months, softening the bite of its 9% alcohol-by-volume, while retaining the fruity fusel alcohols produced by its Belgian yeast strain. The next two beers with dinner —Heavy Seas Pale Ale and Loose Cannon American Hop3 IPA— will be served from firkins: 10.8 gallon casks, within which the beers have been naturally carbonated. Berry personally filled these two casks at the brewery with his choices of spices and hops. To the Pale Ale, he added sour cherries, chips of toasted poplar wood, vanilla beans, pomelo peel, and so-called 'wet'* Cascade hops. In the cask of Loose Cannon, it's Spanish lemon peel, dried white peaches, grated fresh ginger, and 'wet' Amarillo hops. Not pictured, an additional course: Jerk chicken thighs, stuffed with Linguiça sausage, served over red beans and rice, with pineapple puree. Beer selection: a surprise! With dessert —Chef Mayo's Peanut Double Chocolate Fudge— Berry has chosen to serve Siren Noire. Approx. 8% ABV. An English style imperial stout, fermented and flavored with imported Belgian chocolate nibs. Smooth and easy drinking. Named for the Sirens who lured seafarers off course and ultimately to their demise. As it might have be impractical to host all 30 employees of the brewery at dinner, two will be making the 45 mile trek from Baltimore to Fire Works. Tuesday evening, Stephen Marsh will guest host. He is the cellarmaster for the brewery: the manager of the brewery's burgeoning cask program. Wednesday evening, it's Hugh Sisson: the founder and managing partner of Heavy Seas Brewing. The dinner may also feature the official Virginia release of Plank II. the second in a series of beers showcasing unique wood ageing treatment to add flavor and nuance. Plank II features an 8.5% ABV Dopplebock style lager matured with specially treated Eucalyptus and Yellow Poplar wood planks. Six-foot planks of Eucalyptus and Poplar were placed in the fermenter and allowed to age with the beer for six weeks. The Eucalyptus wood lends notes of chocolate [and mint], balanced with a hint of toffee and smoky dryness from the Yellow Poplar. As of this post (Friday morning, 30 March), the state of Virginia has not yet granted approval for the beer to be sold in the state. Failing timely approval, Mike Berry has plans to offer a different, sixth, Heavy Seas beer as a bonus. The cost of admission is $75 (including tax and gratuity). Wednesday's session has sold out, but there are still a few seats remaining for Tuesday's dinner. For reservations, call Fire Works on 703. 527.8700 or email: courthouse@fireworkspizza.com. Photos from the beer dinner: here. The term 'wet' is used to describe hops that have been freshly picked and shortly thereafter, without storage or curing, used to brew beer. Most hops are gently heat-cured to remove moisture content and stabilize the flavor and aroma. Just-picked, they have more of grassy character: similar as to how fresh mint has a 'green' character in addition to its minty flavor. Think of 'wet' hops as beer's answer to 'farm to table.' Most hopyards in the U.S. are found in the Pacific Northwest. Breweries not nearby arrange for freshly-picked hops to be air-shipped overnight after fall harvest. 'Wet' hops in April will have been vacuumed-packed. As well, many areas in the U.S., such as here in Virginia and Maryland, are seeing a resurgence of local hop-farms. Caveat lector: As a representative for Select Wines, Inc. —a wine and beer wholesaler in northern Virgina— I sell the beers of Heavy Seas Brewing. Bruichladdich 1989 "Black Art" 21. An Islay single malt whisky (that's 'Scotch,' here in the U.S), un-peated, and matured —in a wonderful, yet not uncommon cross-seas pollination— in Buffalo Trace bourbon casks. Bottled at 21 years old, at an undiluted 'cask strength' of 49.7% alcohol-by-volume (99.4 proof). Tasted 14 March 2012, at a portfolio show for Winebow, an importer and wine (and spirits) distributor, in Washington, D.C. This venerable Bruichladdich was the color of sherry, tasting of toffee, burnt sugar, dark berries, and an abundance of sea-weedy iodine. (Maybe oloroso sherry, or is that a visual cue?) And, even as this was at cask strength, it showed little of an expected alcoholic burn. I told an aquaintance afterward: "a life-changing dram." Estimated retail value: $200 +. Drinking , Again: An occasional series of reviews of beer (and wine and spirits). No scores; only descriptions. Graphic created by Mike Licht at NotionsCapital. Buffalo Trace is a bourbon distillery in Kentucky. Photos from a tour: here. Thank you to David Ferguson —Bruichladdich's Business Development Manager in the U.S.— who did indeed give a wee bit more of a taste. 1989 was a special year for craft beer in Maryland. Eleven years later, in 2000, Sisson's would be sold, and the brewing equipment would stand fallow for several months (which is when this photo was taken). In 2002, the pub would be sold again, and remodeled as Ryleigh's Oyster. In 2005, the brewing equipment was removed and sold to Mountaineer Brewing of West Virginia (which itself closed in 2011). If the name Sisson sounds familiar, it's because Hugh Sisson —once brewer and general manager at his family's eponymous restaurant— is the the founder of Heavy Seas Brewing, a production brewery located just south of Baltimore in Halethorpe, Maryland. The Neighborhood Restaurant Group —parent organization to beer bar ChurchKey and restaurant Rustico— recently announced that Megan Parisi —past lead brewer for Cambridge Brewing of Massachusetts— will be the head brewer for Bluejacket, an upcoming production brewery (and restaurant) to open near the Washington Nationals baseball stadium, in southeast Washington, D.C. In late February, I met Ms. Parisi at Mad Fox Brewing —a brewpub in Falls Church, Virginia, a suburb of Washington, D.C.— where she had just finished brewing with Mad Fox's brewer/owner, Bill Madden. Among other things, we discussed a possible date for Bluejacket's opening day. The Craft Brewers Conference —a confab organized by the Brewers Association, an advocacy group for U.S. breweries producing fewer than six million barrels of beer per year— moves among different U.S. cities every year. This year, that's San Diego. Next year, May 2013, it's here, in Washington, D.C. And, that's Parisi's wished-for deadline. Since Bluejacket will be located within view of Nationals Park, here's a thought. Maybe, just maybe, might there be an opening day on Opening Day? 2013! UPDATE: Bluejacket opened on 29 October 2103. More: here. From beer author Andy Crouch comes this glorious rant on so-called collaboration beers —produced by two breweries in tandem— in which he drills down to what constitutes the quintessence of good (and poor) brew-craft. Beyond the eventual overkill of the subject —it seems as if a handful of breweries have collaborated with breweries from nearly every country—I can’t quite get past the confusing and disjointed resulting beers. When it comes to beer, I prefer focus, precision, and clarity of concept. I love it when a brewer sets out a defined, clear path and then executes with both style and grace, leaving the drinker with a crystalline understanding of the craftsman’s vision and an easy path to appreciating whether they achieved it. If genius is said to be the ability to reduce the complicated to the simple, then muddling the elemental with excess adornments convolutes the beauty of the thing you first sought to appreciate. When it comes to beer, I’m more impressed with the brewer who can tease great flavor from fewer ingredients than one who requires a half-dozen hops, malts, and yeast strains to achieve a complicated mess. I couldn't have said it better myself, because I didn't. Crouch did. Read the entire essay, "Death to Beer Cocktails" —on beer cocktails, collaborations, and beer styles— at his blog: Andy Crouch's BeerScribe.com. The piece was originally published in BeerAdvocate Magazine. The Neighborhood Restaurant Group (parent to Churchkey, Birch & Barley, Rustico, and other northern Virginia and Washington, D.C. restaurants and shops) announces the name for its brewpub, to open in 2013 near to Nationals Ballpark: Bluejacket. Via Washington Post. 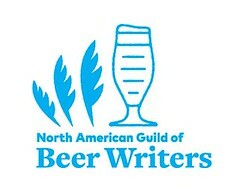 The Virginia Craft Brewers Guild announces its 1st Virginia Cask Ale Festival: Richmond, Virginia, 21 April 2012. New Belgium Brewing (of Fort Collins, Colorado) —the nation's 4th largest American-owned brewing company—, may open a second facility in Asheville, North Carolina, or in Philadelphia, Pennsylvania. Via Washington Post All We Can Eat. Is locally-brewed beer better beer? Several bloggers blogged on that topic for The Session: Beer Blogging Friday. Brewery owner wins Small Business Person of the Year in North Carolina: Oscar Wong of Highland Brewing Company in Asheville. Via Asheville Citizen-Times. Devils Backbone Brewing Company —a brewpub in Roseland, Virginia— expands its production, opens a brewing and packaging facility in Lexington, Virginia. Via Nelson County Life. There are 31 breweries in Washington, D.C., Maryland, and Virginia that regularly post to Twitter. Here's a list. Daylight Saving (no 's') Time began overnight in most of the U.S. Set your clocks AHEAD one hour. Via Sky and Telescope. Citing a tweet in a research paper? There's a Modern Language Association guideline for that. Beautiful astronomical phenomenon: tonight through the 17th, Jupiter meets Venus. Via Sky and Telescope. 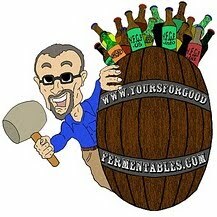 The cellarmaster for Baltimore, Maryland, brewery Heavy Seas discusses his use of wooden casks. Confessions of an oak cask man. "For The Love of Hops" by Stan Hieronymus, to be published in Sept. 2012, by Brewers Publications. Once the pride of Baltimore, Maryland, National Premium beer to brewed again, under contract by Fordham Brewing. April release planned. Via Midnight Sun. Sign of overall economic recovery? AB-InBev profit doubled in the fourth quarter of 2011 over the same period in 2010. U.S. sales are up for the International conglomerate, but not as much as elsewhere. Via Associated Press. 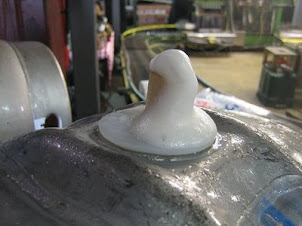 Several British breweries clamor for industry acceptance of hazy cask ale. Brewers United for Unfined Beer. The Washington Post announces the 32 American 'craft' beers for its annual Beer Madness competition. Glen Manor Vineyards' 'meritage-style' red wine awarded 2012 Virginia Governor's Cup. Via Washington Post's Dave McIntyre. How $13 million of inducements weren't enough to bring Sierra Nevada Brewing to southwest Virginia. Via Roanoke Times. Virginia legislature legalizes the sale of beer on-site at in-state breweries. Via Musings Over A Pint. Lithuanian court rules brewing "vitally essential" to life; forbids strike by workers at Carlsberg Brewery plant in nation. Via The Register. Baltimore, Maryland, brewery Stillwater Artisinal Ales in partnership to open restaurant: Of Love & Regret Pub and Provisions. Via The Original Beer in Baltimore. British author Pete Brown to release new book "Shakespeare's Local" in November 2012. One Friday afternoon in Arlington, Virginia. Pre-Diageo buyout, Guinness would run ad-writing contests, annually awarding grand prizes of pubs in Ireland. I never made it to Ireland; you can guess the decision of the herpetologically inclined judges towards my entry. Cheering my heart with friends about. Balming my soul, in the dark of night. The winning entry, the year mine was rejected? "Guinness is the last thing you would think of if you were lost in the desert. Or maybe the first." I'm still bitter. Today, in the familiar, it is St. Paddy's Day, NOT St. Patty's Day. From Paddy, NOT Patty: "Paddy" is derived from the Irish, Pádraig. "Patty" is the diminutive of Patricia, or a burger, and just not something you call a fella. It's new; it's official; it's Virginia; it's cask ale. Saturday, 21 April, the Capital Ale House —in downtown Richmond— will play host to the first ever Tap Into Virginia Cask Fest: a Virginia cask ale festival featuring ten 13 firkins from ten 11 different Virginia breweries— a fundraiser for the Virginia Craft Brewers Guild. Devils Backbone White Stag IPA -7.0% abv, 50 IBUs. A wheat IPA that blends aspects of American IPAss, British IPAs, and wheat ales. Brewed with 4 types of malted & un-malted wheat, kettle hopped with both American and English hops, and dry hopped with East Kent Goldings. Devils Backbone Wit Bier - 4.5% abv, 15 IBUss. A Belgian-style witbier that is hazy straw in color, light in body, with a refreshing fruity spicy finish. Spiced with coriander, orange peel, szechuan peppercorn, and brewed with an aromatic Belgian yeast strain. Hardywood Hoplar: un-oaked and dryhopped. Legend Golden IPA (dryhopped with Citra hops and aged with French oak chips). Lost Rhino Face Plant IPA: 6.2% abv, 65 IBUs, with Cascade and Centennial hops. O'Connor Great Dismal IPA - black IPA infused with “Old Havana Cuban Coffee Blend” from Virginia Espresso in Norfolk, chocolate, and vanilla beans. ABV- 8%. Port City Monumental IPA: Magnum, Centennial, Amarillo, and Liberty hops. 6.3% abv. St. George Imperial Pale Ale - 10% abv English style pale ale hopped and dry-hopped with UK Fuggles. Wild Wolf Tomtom Founders Festival Ale: White IPA/wit, fermented with more than 60 pounds Virginia wildflower honey, and dry-hopped with a pound of Cascade hops. 70 IBUs, 5.5% abv. Purchase tickets on-line at the festival website VAcask.com, and, in person, at the Capital Ale House and at Hardywood Park Craft Brewery during tasting room hours. Two 4-hour sessions: noon-4 and 6-10. Admission is $20 in advance, and $25 day of fest. Admission includes 8 two-ounce samples and a tasting glass. Additional tasting tickets will be available at the festival for $2 apiece. Organizer Mike Killelea —chairman of the Virginia Craft Brewers Guild and brewer at Legend Brewing Company— is passionate about cask-conditioned ale. He plans for the Tap Into Virginia Cask Fest to be a showcase for cask-conditioned real ale experienced as it should be. Thus, casks are to be delivered —to the Music Hall venue at the Capital Ale House— several days ahead of time. Upon their receipt, Killelea will immediately place the casks up on stillage. After they have had sufficient time to settle, he'll vent, fine *, and tap them. "No hoisting casks onto a bar, tapping them, and serving them without time for proper conditioning," he assures. He'll keep the casks cool using the tried-and-true method of evaporative cooling (that is, with wet towels), and serve them by simple gravity tapping. Killelea and fellow Guild organizers have high hopes for this to be the first of many more cask festivals to come —of, for, and by Virginia breweries. But, until April 21st: stay 'real' thirsty, my friends. All profits from the event, after expenses, will go directly to the Virginia Craft Brewers Guild. Cask ales are never filtered, but may be (and often are) fined: adding ingredients which encourage the precipitation of yeast and proteins, rendering a beer bright and clear. Cask ale —especially as produced in the U.K.— is fined with isinglass, a product derived from the swim bladders of certain fish. Vegetarians take note. Breweries participating at the festival can choose to opt out of fining. Any Virginia brewery which is interested in participating, but does not own a firkin, should contact Killelea. He has a limited number casks available to loan. A firkin is a particular size of cask: 10.8 US gallons (the equivalent of 9 U.K, gallons). Read more on cask ale at CaskAleUSA. Killelea pronounces his surname: Kill uh LAY. Early last Friday evening, a group of real ale * fans gathered at Bilbo Baggins, a restaurant in Old Town, Alexandria, Virginia, located a couple of blocks from the Potomac River. There, they saw a cask of Heavy Seas Brewing's Loose Cannon American Hop3 IPA, quietly sitting on the edge of the bar. This was not 'just' a cask; this was a wooden cask. They ogled it, and they waited. And, then ... they cheered. In walked Jonathan McIntire, the brewery's local representative, wielding a mallet. He aimed it at the tap in the keystone of the cask, swung it, and, with a sound like the crack of a baseball bat, the cask ale flowed. "Superb," exclaimed proprietor Michael Armellino, as he sipped the first pint. "Serendipitous!" enthused a fellow bar mate who had arrived, unaware of the cask, to do 'field research' for her upcoming Cicerone beer exam. Pints would follow for all of us, and the cask would be drained of its contents before the evening was out. Seventeen years in operation, Heavy Seas Brewing is located just south of Baltimore, Maryland. RateBeer —the crowd-sourced consumer review site— gives Loose Cannon American Hop3 IPA a 98 point score (out of a perfect 100). Loose Cannon Hop3 Ale is a triple hopped IPA containing over 3 pounds of hops per barrel. Not for the faint of palate, it has an intensely floral, spicy, and citrusy hop aroma and flavor. Available year round. 7.25% abv. To learn more about the cask and the process, I emailed Stephen Marsh, the cellarmaster for Heavy Seas Brewing. Marsh heads up the brewery's burgeoning cask program: responsible for filling the casks, for ensuring their quality, and for design of the program. What wood was the cask constructed of? 1. The wood is a combination of European oak and American white oak previously used in Scotch Whisky barrels. The cooperage uses both types of wood in the making of each barrel. 2. The casks are toasted lightly to set them into shape and then dressed out (shaved) to reveal clean oak. 3. The paint on the ends is a special one coat chimb paint. What is the volume of the cask? Where do you get your wooden casks? UK Brewing Supplies was our source for the English barrels. We also have wine barrels that we retro-fit for beer. Our source for these is the Barrel Mill in Minnesota. They use slow-growth Minnesota white oak for both their wine and whiskey barrels. You can get these in light medium and heavy toast. We chose medium toasting. When we bought brass bushings, we found that they were not an exact fit because the staves on the wine casks were thinner, and the keystone face was vertical not horizontal. The holes for the bushes had to be tapered exactly, which required two different large tapered drill bits. Then, we had to offset the keystone bush, to avoid drilling between two staves. We took the English brass bushes to a Baltimore-area fabricator, which used them as examples to produce identical sets of keystone and shive bushes, but in stainless steel. This whole process ended up being quite expensive, almost as much as purchasing and shipping over the English beer casks. What is the volume of those wine casks? The Barrel Mill wine barrels hold 10 U.S. gallons, which is the equivalent of 80 U.S. pints (16 ounces). They are slightly smaller than the English oak casks (10.8 US gallons). How many uses do you put a wooden cask through? As many uses as I can get, before the barrel becomes infected, and unusable. The cask you tapped at Bilbo Baggins was in its first use. We'll continue to re-use it. For example, one of our American-made modified white oak wine casks has been filled over 20 times. How do you clean and maintain the wooden casks? The goal is to keep the casks clean and uncontaminated and the wood from contracting and splitting. I seal dry with new keystone and shive and leave empty in cooler, but never for more than a few days. Hot water is used in cleaning and prep for filling. We prepare a brand new barrel by soaking in hot water to seal and swell, then rinse, and repeat to remove excessive oils and overpowering wood character. I noticed the English beer cask appeared somewhat different (other than the volume) from the converted wine barrels. Yes. The English casks are solid, with thicker staves (curved wood planks) and thicker metal hoops, as well. The head (the face of the cask) has horizontal cants and middles (flat staves) which allow the keystone (the bung where the tap is hammered in) to be properly positioned. The converted wine barrels, instead, have vertical staves on the face. Thus the keystone has to be offset to fit within the stave. I have yet to be successful with the shive bush on the wine barrel and ended up just creating a hole the size of the shive, and letting the wood swell to facilitate sealing. The Loose Cannon we had Friday evening at Bilbo Baggins: was it conditioned (naturally carbonated) within the wooden cask? Yes. We allowed the beer to complete fermentation in our tanks, and rest for a day. Then, the brewers 'crash-cool' the beer to near freezing, which forces the yeast and other particulates to settle out of the beer into the cone. We take this unfiltered beer and put it into a cask, 'priming' it with freshly fermenting beer from another batch of Loose Cannon. I put whole-leaf hops in a cheese-cloth bag, knot it and float it in the beer, held in place by the shive bung. This is similar to how we fill all of our casks, by the way, metal or wood. What is the average conditioning time before a cask is released from the brewery? We normally hold a cask 7-10 days before shipping to ensure the cask is primed correctly ... and to ensure that there are no leaks! With the new oak casks, even though I have soaked and rinsed for up to 12 hours, there is still an impressive oak character infused into the beer. The natural oils in the wood also mess with head retention on the first 2 fills. This wood character diminishes with each subsequent re-fill, so, after a few refills, I allow the beer more time in contact with the wood. How many wooden casks does the brewery own? 6 English Oak casks and 5 converted Minnesota White oak casks, for a total of 11. What were the hops and/or special ingredients used in this cask? U.S. Simcoe, Palisdade, and Centennial. Why those hops? What about their flavor and aroma do you like in the IPA? These are very citrusy hops. Dry hopping in the cask adds pronounced flavors and aromas of grapefruit, blooming flowers, and pine to the beer. These are also some of the hops utilized in the 'regular' non-cask production of Loose Cannon. My goal is not to change the beer drastically, but to enhance the great brew that our brewers create. Our social media director calls me the "ice cream man." I put the ice cream and cherry on top of the beer, so to speak! How many firkins does Heavy Seas own? The brewery owns close to 600 stainless steel firkins (10.8 US gallons) and, of course, those 11 wooden casks. Per month, we produce and ship over 100 casks. I believe we are one of the largest cask-owning breweries in the US. Five years ago, when our cask ale program began in earnest, we sold 50 casks, most going to Maryland, and other southern states. Last year, we sold over 1,000 casks up and down the east coast from Maine to Florida. I have personally cleaned and filled over 3,000 casks since the program began. How long have you been the cellarmaster at the brewery? You have a cask ale event scheduled this weekend at the brewery. Can you tell us more? Yes, it's the Heavy Seas Real Ale & BBQ Fest. There will be 11 casks, and plenty of barbecue from local restaurants and caterers, like Kooper's Tavern, Heavy Seas Ale House, Alewife Baltimore, Alonso's & Loco Hombre, Kloby's Smokehouse, and others. For casks, we'll have a vertical tasting of Loose Cannon including casks of Dubbel Cannon, Black Cannon, Loose Cannon casks with special ingredients (as voted for by brewery fans), Loose Cannon in a new American oak barrel, and 'standard' Loose Cannon. For those special casks, we asked Heavy Seas fans to choose their own favorite ingredients by voting for three adjuncts and 2 types of hops out of a list of a dozen possibilities. Those chosen included chocolate nibs, hand-toasted vanilla beans, and orange-blossom honey, East Coast Cascade 'wet hops, and and West Coast Simcoe 'wet' hops. And, finally, we'll have three different casks of our Pale Ale, each hopped differently. One is 'dry-hopped' with hops used in the 'hop back' and normal brewing processes. The other two contain hops from two Maryland hop farms. Festival attendees will vote for their favorite, and I'll continue to cask that style for the rest of the year. Unfortunately, the Real Ale & BBQ Fest has sold out. If you've missed this one, Heavy Seas does present three other festivals at the brewery during the year, and it offers tours every Saturday. More details: here. See a slideshow of photos from the Bilbo Baggins event: here. * Read more about the unique, fresh, character of real ale at CaskAleUSA. Loving me some Mount Hood hops in Tuppers' India Ink! India Ink is a hoppy, strong, dark ale (almost inky black, hence the name), that Mad Fox brews for Bob and Ellie Tupper. Strong refers to the alcohol content. This is a hefty 7.5% alcohol-by-volume (abv). Hoppy, here (but not always), refers to the aroma of the hops, not simply their tannic bitterness. Mount Hood hops in India Ink add a wonderful minty/floral aroma to the barley-derived flavors of toasted malt and not-quite stout like roastiness. But let there be no doubt: there be abundant Mount Hood hops here. For three decades now, Bob and Ellie Tupper have been beer-raconteurs and good beer-beer advocates for the Washington, D.C. area. They contract brew their Hop Pocket Ale and Keller Pils, bottles and kegs, at St. George Brewing, in Hampton, Virginia. India Ink. on the other hand, is draught-only. Mad Fox Brewing, a brewpub in Falls Church, Virginia, produces it for the Tuppers to their Mount Hood=heavy recipe. But, you know, I just can't get myself to speak that nonsensical tag: Black India Pale Ale. A pale ale is pale; Black IPAs are not. The India connection (other than the pun in the Tuppers' beer) is tenuous at best. Pale ales, stouts, and light lagers have been, and are still, shipped to India (and, at least, for the last of those three, brewed there). But, that's it. There are even those who call these beers Cascadian Dark Ales: as in the Cascade Mountains of the Pacific Northwest, where Cascade hops and their grapefruity, alpha-acid-heavy, brethren are grown —well, actually east of those ranges. Yes, Mount Hood hops are cultivated there, but they definitely are not high in alpha acids, nor do they evince 'grapefruity' character. All of this stylizing smacks of formalism and time-wasting silliness, more Soviet than democratic. It detracts from what's really important: how does the beer taste? Spicy, minty, floral, roasty, dark, strong. However one might designate it, I'm enjoying Tuppers' India Ink, while I can. 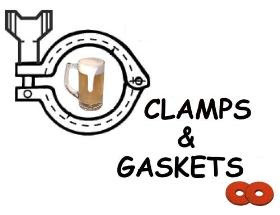 Clamps & Gaskets: News Roundup for Weeks 8/9, 2012. A Sacramento, California, pub backtracks from charging its cusotmers $45 for 12-ounce draft pour of Russian River Brewery's Pliny the Younger IPA (and a burger). Via ranSACkedmedia. "On Payola and Libertarianism, On Beer and the End User." An essay on why government can be a necessary and good thing. Via BeerBrarian. Birthday in Beer: Jay Brooks, long-time writer & promoter of good beer. Creator of Brookston Beer Bulletin, a standard of beer blogging in the U.S.
Washington D.C.'s Cherry Blossom festival celebrates its centennial this month ... and the cherry trees are blooming earlier than usual. Via WAMU.org. "I'm a [sad] believer." Davy Jones of the Monkees has died at 66 ... in Florida. Via YahooMusic. Virginia legislature approves direct purchases by contract breweries. Begins approval process to permit on-site beer sales and sampling at breweries. Via YFGF. Today is Leap Day. More, via Wikipedia. Man that fasted on beer and water for 46 days named "Beerdrinker of the Year," in annual contest by Wynkoop Brewery. Via BeerPulse.com. An update on the (stalled) push to allow to beer growler refills in Washington, D.C. Via DCBeer.com. The pilot episode of beer writer Lew Bryson's American Beer Blogger to air 8 March 2012 on Lehigh Valley, Pennsylvania, PBS affiliate. Via Seen Through A Glass. This year's Washington Post Beer Madness panel of judges includes a Congressman. Publication of judging results to begin 7 March. Via All We Can Eat. Maryland legislature considers bills to allow brewery sampling & direct distribution, and diners to bring their own wine into restaurants (referred to as "corkage"). 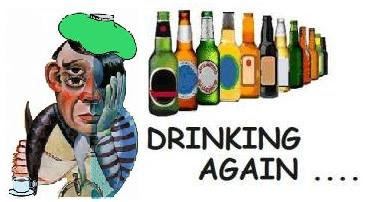 Via Marylanders for Better Beer & Wine Laws. The Yards Brewpub to be open in southeast Washington, D.C., near to Nationals Stadium, by May 2013. Not affiliated with Yards Brewing of Philadelphia, Pennsylvania. Via YFGF. There are only four Master Beer Cicerones. Of those, Nicole Erny is the first female Master Cicerone. Via Brookston Beer Bulletin. Baltimore, Maryland, contract brewer, Stillwater Artisinal Ales announces that it will offer cans of its Premium , a "farmhouse session beer," later this year. Via DCBeer.com. Cabinet Artisanal Brewhouse in Alexandria, Virginia, brews only sour beers, in small batches. Via Washington Post. By sales, the top 20 US 'craft' breweries. Via Huffington Post. John Glenn became 1st American to orbit Earth, 50 years ago, today. Via The Atlantic. Bartender Sean uses a 'beer engine' to 'pull' a pint of Oliver Ales ESB. A beer engine is not really an engine at all, but a piston hand-pump that pulls beer from a cask without the use of extraneous carbon dioxide. Photo taken on 25 February 2012, at The Wharf Rat, in the Fell's Point district of Baltimore, Maryland, just off that city's Inner Harbor. The photo was enhanced with the cross processing tool of Picnik, an online photo editor. Lyon Hall is a brasserie in Clarendon, Virginia. There, for Tuesday, 6 March, Beer Director David McGregor has organized a Heavy Seas Beer Dinner. Executive chef Liam LaCivita and chef de cuisine Andy Bennett will prepare four courses, each of which they'll serve with a different beer from Heavy Seas Brewing, of Baltimore, Maryland. Jonathan McIntire —the local representative for the brewery— will present the Heavy Seas beers. But, there is a twist. McGregor will offer an alternate beer choice for each course, and diners can choose their preference. Charred green onion, Romesco sauce. 9% abv. Dark and spicy 'abbey-style' ale. See photos from the dinner: here. Tuesday, 6 March. At 6:30pm "sharp!" says McGregor. He was born in 1920, to parents Anna and Michael, recent Ellis Island immigrants from Tsarist-occupied Lithuania. To come would be a full life: the only in his family to attend college (and graduate school), a 54 year marriage to Genovaite, a family, an overseas career in service to his nation as a diplomat, and lasting achievements for developing nations, as an economist at the World Bank. He passed way in 2002. Today would have been his 92nd birthday. Albert Cizauskas was my father.